There are many gods in our Hindu religion but lord Shani dev is different from them. He has immense power, appeased toward off, evil eye etc. Saturday is the day which is devoted to Lord Shani Dev. Traditionally God Shani Dev is depicted in Hindu mythology as extremely dark wearing black clothes and mounted on a vulture. Lord Shani Dev who is the son of Surya Dev (Sun) and Chhaya (Suvarna) is also known as one of the nine “Navagraha” by Hindu belief. Lord Shani Dev have a seventh place among these nine planets which govern our lives. Another name of Shani dev is Shanaiscarya, Asita, Saptarchi, Kruralochana, Pangu, etc. 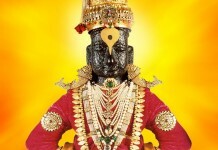 The birth place of Lord Shani Dev is Saurashtra, Gujarat . 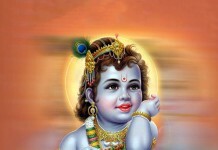 Hindu people believe that he is the god causing miseries in the life of a human being. So, Lord Shani Dev occupies the principal position among the Hindu’s God. Lord Shani Dev is the brother of Yama Dev (deity of death) and is believed to be responsible for punishing or rewarding to the people one in the lifetime in accordance with their ‘karma’. He has also a power of making a king into a pauper as well as changing the fortunes of a sufferer. Shani Dev is a great devotee of Lord Shiva because Lord Shiva is Guru of Shani Dev and hence those who wish to appease him pray to Lord Shiva along with him. Lord Shiva is the guru of God Shanidev. A short story about God Shiva and Shanidev shows us the power of Shanidev. Shanidev said to his Guru, “If I will spare you, no one in the world will respect me and maybe insult me, still I will give you this boon. I will stay in your moon sign for only 7.5 prahar means 22.5 hours.” Lord Shiva said, “No, I think you should stay in my moon sign for 1 and ¼ prahar means 3 hours and 45 minutes.” Lord Shiva thoughts that Shanidev would not be do anything within this short period. So, Shanidev decided that I will show to my guru that what I can do within these 3 hours and 45 minutes. Lord Shiva might be unaware of shanidev ability and capabilities. So when the time came of Shanidev’s gaze, Lord Shiva went to Gangaa River to take bath by thinking that the time will be passed in his bath and also grace period will be over. Shanidev takes the form of melon merchant and met to his guru on his way and as his shadow fell on him, his body and mind changed. Shanidev showed him two watermelons. The watermelon was one small and one big, and also showed him that how good they were by cutting a little part of them. Lord Shiva got very happy to see those juicy melons and bought them from Shanidev who was in the form of melon seller. He put them in a bag and proceeded towards the river. After taking bath, Lord Shiva filled his water pot with Gangaa’s water, picked the watermelon bag and proceeded towards town. Previous day of this day, that city’s both King’s and the Prime Minister’s son went for hunting. By the grace of Shanidev, they loose their way in the forest. The king was worried about his son and he send to their soldiers in the forest for searching of the princes. One of the search party went to Guru Shiva and asked him what was in his bag? Lord Shiva answered them that there are watermelons in this bag. Again soldiers asked, “Why this blood is dripping from your bag? Are you a murderer?” To hearing this word of the soldiers, Lord Shiva was shocked and looked at the bag, he also found that really blood was dripping from his bag. In the meantime those soldiers took off the bag from Shiva’s shoulder and opened it. They found that two severed heads in it. Those heads were of those of Princes and the prime ministers son’s. By the gaze of Shanidev, the watermelon had changed into the heads of those two boys. The soldiers bound him with ropes and took him in the front of King. The king felt very sad to see the heads of those boys as well as got very angry. The king said, “He is not a Braahman, he is a murderer. So take him and put him on a stake.” All the peoples of the palace came there to see the killer of the prince and started throwing stones on Sadhu. Lord Shiva was extremely depressed at all this. So, when soldiers wanted to put him on the stake, Lord Shiva said to soldiers, “Please wait for a few minutes only, and if I am saved, I will give you 10000 silver coins.” Lord Shiva knew that Shani’s gaze will be end soon. The soldiers were agreed for this. After a very short time, Shanidev gaze was expired. After expiring of gaze Prince and the prime minister’s son entered the palace. Seeing them alive everybody got very happy. Immediately the king sent a messenger to the soldiers that not to put the Sadhu on stake as their children were came back safe and alive. After listening to this massage, Lord shiva was taken to the palace by soldiers. The king felt very sad and also asked to Shiva for his forgiveness. 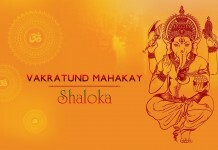 Lord Shiva said, “O king, don’t worry, you are innocent. Whatever is happened with me and you, it’s all Shani’s illusion. After the discussion of king and Shiva, the king wanted to see the bag of lord Shiva and he found two watermelons in the bag. He arranged for the fragrant bath for Sadhu and seated on an Aasan and worshipped him and fed him delicious food. The king gave him new clothes and filled his bag with silver coins. Lord Shiva left the palace. On the way God Shiva met the executioner, Shiva gave him all the coins. After that Shanidev met to Lord Shiva. Shanidev asked, “What is the experience of my gaze?” Lord Shiva said, “O shani, you are great, only 3 hours and 45 minutes gaze shattered my bones, what would be happened if you had stayed with me for 7 and ½ years? Taday I am agree that you are most terrible planet. I can bear all this things but today you promised me that you will not trouble anyone else like this in future.” Shanidev said, “O my lord, I am sorry for that, but I just wanted to show you my power. Now please pardon this child of yours, and I promised that I shall never offend you in this way again.” After saying this word and bowing down to lord Shiva, Shanidev went back to his Shanilok. 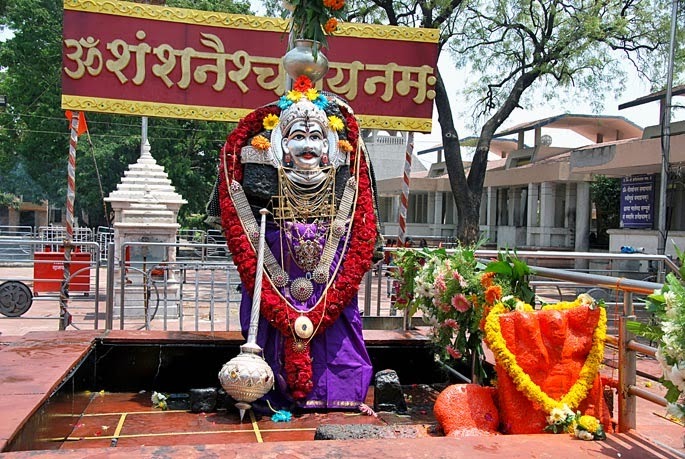 Kokilavan Dham” is the famous temple of Shanidev . This temple is situated at Kosi Kalan, near Mathura in Uttar Pradesh ( India ). 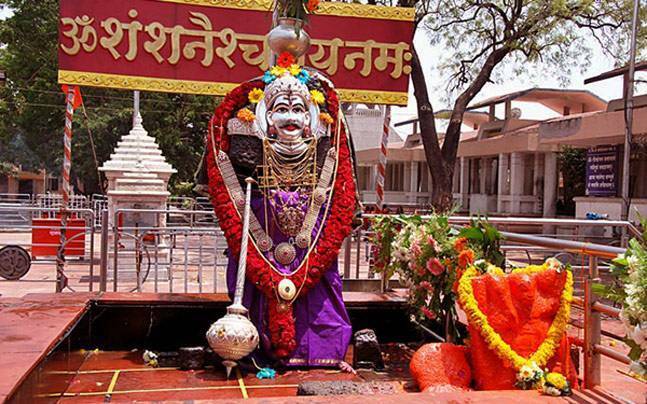 It is believed that Kokilavan Dham is the place where Lord Shri Krishna gave darshan to Shani Dev. This temple is visited by many devotees on Saturday. There is an interesting story about Shani Dev and God Krishna. That place of the forest where Krishna appeared before Shanidev, has since been called “Kokilavan”. Now it is famous for “Kokilavan Shanidham”. As per Hindu Epic Ramayana, When Hanuman went to the Lanka in search of Sita mata (Wife of Lord Rama). After meeting with Sita mata, when Hanumanji was coming back, he met with many God who were in clutch of Rakshash (Evil) King Ravan. God Shanidev was also there. Hanumanji helped freeing shanidev and getting out of Lanka. Because of Hanumanji helped Shanidev they both became friends. Here, Shanidev Promised to Hanuman that anyone who prayed to him (Hanuman), he would be rescued from the baleful effects of Shanidev. God Surya Dev is the Father of Shanidev. Surya dev is also the Guru (Teacher) of Hanumanji. After the completion of course, Surya dev said to Hanuman, “You have become adept in all forms of wisdom and weapons, now go to your mother Anjani” But Hanumanji requested to Surya dev “Give me an opportunity to repay for your tutelage” Suryadev said to Hanuman, “my wayward son shani is the cause of my sorrow only, Go and bring that wayward son of mine back to me”. Listening to the order of Surya dev, Hanuman went to Shanilok. When he was going to shanilok many planets tried to stop him but they were unable. When Shanidev saw hanuman he asked to him, “Who are you? Why are you come here? Do you not fear with die?” Hanumanji replied, “I am Hanuman, The disciple of Lord Surya. Lord Shani you have all power & virtues, but your greatest drawback is disobeying your father. It’s not good & it’s the greatest sin. I have come here to take you to your father.” Hearing all this Shani became angry & said, “You don’t know my power, Powerful god also trembled with my power so better thing for you go back immediately otherwise I will burn you” Hanuman replied, “I have not came here to go back”. Then Shani Dev crooked gaze on Hanuman but shanidev could not burn him so, Shanidev sat on his head. They were inside a room. Immediately Hanuman increased his size because of which shani pressed between hanuman and the ceiling. When the pain was unbearable, Shani requested to God Hanuman to release him. When shanidev became free from Hanuman then shanidev Promised to Hanuman, “Anyone who will worship you on Saturday, I will never be terminate them.” After that shanidev & hanumanji went to Suryadev. Shanidev became happy to see them. The name “King Vikramaditya” has been assumed by many kings in Indian history. Vikramaditya was the king of Ujjaini. He was famous for his wisdom, valour and magnanimity. Due to his great power he had became “emperor”. Madenlekha (Queen of Ujjaini) was the wife of Vikramaditya. He had two children Adityavardhan & Manjili. The seven god of the week are the Sun (Surya dev), Moon, Mars, Jupiter, Mercury, Venus and Saturn (Shani dev). Once upon a time, the seven god of the week, were in meeting. Rahu and Ketu are also there. Rahu & Ketu put one question in front of them. The question was “who is the powerful god among us?” They could not decide on this matter. So, they went to Devraj Indra for his adjudication. God Devraj Indra thought if he gave decision in favour of any one god then other will be unsatisfied with me. He told them that respected gods, I am also like you so, how can I decide that who is great & I can’t give an impartial judgment. 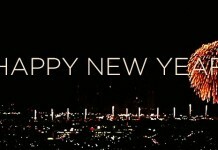 So, better thing for all of you go to the planet earth. There is King Vikramaditya. He is very good justice on all over the earth. Hearing this entire thing at last all God went to King Vikramaditya. When all gods came to King Vikramaditya then king gave big respect to them and begged for any king of service. They told him about their problem. It was very difficult task for Vikramaditya. But he was dutiful king so, he accepted this challenge gracefully. After thinking on this, He arranged seven thrones. These thrones were made from Gold, Bronze, Brass, Tin, Zinc, Mica, & iron respectively. The thrones were put by numbers. The Gold throne was put at number one & the iron throne was at the last. Then King Vikramaditya requested to seven gods for grace the throne of their own selection. God Surya (Sun) was in the gold chair while God Shani selected the iron chair. 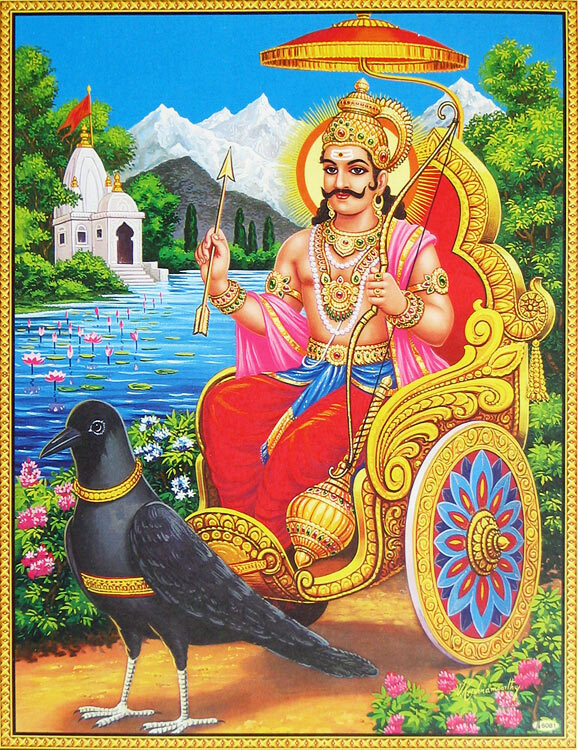 When the seven gods had sat in the chair of their own selection, Vikramaditya said, “Now according to the order of your throne you may decide your own rank & none can thrust my judgment upon you.” Hearing to this, God Shani (Saturn) stood up & said to King Vikramaditya, “You ranked me the lowest among these gods. You don’t know my power. Sun can stay on a Zodiac (Rashi) for One to Two months, Marsh for half and one month, Jupiter for maximum thirteen months, Mercury and Venus for one month only. Rahu & Ketu for eighteen months. But only me who can reign a Zodiac from two and half years to seven and half years. 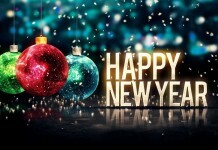 This period is called as “sade sathi”. Due to this sade saathi period powerful god also trembled. When I was angry on Rama then he got banishment instead of throne. Now be prepared because it’s your turn.” Saying all this God shani went back. After a very short time, the “Sade Sathi” period was occupies by Shanidev on Zodiac of Vikramaditya. From here, king’s sade sathi period began which was for seven & half year. Shani dev went to Vikramaditya’s kingdom as a horse-seller & he had very attractive horses. People were also praise of those horses. When King Vikramaditya heard about the strange horses, he sent to Ashawapal to buy a best horse for him & when Ashawapal came with one attractive horse, then king was so pleased to see the horse that he could not stop himself for riding on this horse. But, when he was riding on horse, the horse disappeared in the air with a great speed. After a few second king was in deep and thick forest. He had very tired. Due to out of his kingdom, King Vikramaditya faced many problems. These entire problems were created by God Shani dev. At the palace of Ujjaini , Queen Madenlekha was worried about King Vikramaditya. Queen Madenlekha was the devotee of Shani Dev. So, she requested to Shani dev to save her husband. Due to the Prayer of Queen Madenlekha, Shanidev promised that I will save your husband but he has to endure for his work (Karma). King Vikramaditya was out of from his kingdom so, no body was introducing him. At last Vikramaditya reached a nearby city and in the city he met a respectable businessman. This businessman also not introduced Vikramaditya. King was looking like a beggar. With the sympathy, the businessmen took him to his home and arranged food for him. On that day businessman earned more profit due to the grace of Shani dev. But, he thought that this man (King) is lucky for him. Thinking this he kept him to his house for work. The king was enduring his Sade Sathi period. He was living in the Businessman’s home by changed name. After some days, there was a marriage of Businessman’s daughter. In this marriage Vikramaditya was the responsible person. He went to the market with businessmen’s another daughter for purchasing of Marriage’s material. In the market, Vikramaditya met to shanidev who was in disguise. Shanidev gave a picture of duck to Vikramaditya. The marriage arrangement was going on properly. Suddenly, the marriage’s necklace of bride had lost. The necklace was swallowed by the duck which was in picture. Businessmen’s wife asked to king about necklace but King could not explain anything to her. She thought that king is thief and she arrested him by the soldier of king Chandrasen. King Chandrasen was the enemy of King Vikramaditya. Looked to Vikramaditya, King Chandrasen was very happy. He ordered to their soldiers that King Vikramaditya’s hands and feet be cut with one stroke of a sward. Listening to this order Vikramaditya cried out. But, Soldiers cuts the hand & feet of him. Now, The King was without hand and feet. He was dallying like Beggar. An “Oil seed Crusher (Teli)” was looking him and he felt pity on him. He took him to his house and arranged food for him. He also dressed the king’s wounds and after some days, Teli made him capable of driving the bullocks around the grinding machine. Now, Vikramaditya can do his work properly. Like this time passed on. The Sade Sathi period was about to be over. One night, the king was alone in his work. He was singing song. The voice was sweet. His voice was breaking the silence of the night. In the nearest kingdom, one princess heard the song & she got fascinated towards the singer (Vikramaditya). Princess called to her personal attendant and sent him to know about the singer. After some time, the attendant came back and he told to princess that the singer was servant of “Teli” and he is handicapped. Listening to this thing, Princess decided that she would marry with that singer otherwise she would remain unmarried throughout her life. When princess parents heard about this decision they resented on princess. But, ultimately they were ready for that decision. The King (father of princess) went to the Teli with the proposal of Marriage. The king said to Teli, “Arrange for the marriage of this handicapped person, my daughter wants to marry with this man.” Teli did not believe on king but at the final teli became ready for marriage. Marriage of Princess and handicapped Vikramaditya was over. But princess parents were not happy. At the mid-night of honeymoon King Vikramaditya had a small nap. God Shani dev visited to the King’s dream and said, “King Vikramaditya, you ranked me the lowest among the gods. All this happened with you this is effect of my sight. You have undergone enough sufferings for your misjudgment. But now your Sade Sathi period has over.” Hearing this news king became happy and he requested to Shani dev “Do not inflict such suffering in future on anyone like me. The God accepted the king’s request and disappeared. After the disappeared of shanidev when King Vikramaditya opened his eyes, he became surprise to see that his hands and feet in proper shape. The princess & her family member were also so much happy to see this. But when they knew about the reality of handicapped person that he is King Vikramaditya, king (princess father) was overwhelmed with joy and praised his stars. This news reached immediately in all area & nearest area. The businessman also got this news and felt guilty to his behavior with Vikramaditya. He went to Vikramaditya & requested him, “Excuse me for my wrong behavior with you.” And he also invited him for dinner. King Vikramaditya accepted his request & next day he went to businessman’s house for dinner. In the house of businessman, King Vikramaditya said, “I shall dine in the same room where the necklace had lost.” Without asking any question, the businessman arranged the dinner in that room. When the Vikramaditya were dining, he saw to his great surprise that the invaluable necklace was emerging from the same duck which was in picture. 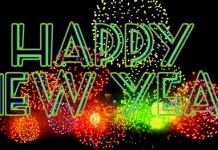 This Imaging thing was seen by all the people who were present in that house. The businessman was so much overwhelmed with joy and he too decided to marry off his daughter to Vikramaditya. After some days, King Vikramaditya returned to his Kingdom. Queen Madenlekha became so much happy to see Vikramaditya has returned to his kingdom. On the next day in the court, The King Vikramaditya said to his courtiers to make a proclamation by the beat of drum that God Shani is also powerful like other God and so, they should keep fast on Saturday as a mark of honor of God Shani dev. After that in the kingdom of King Vikramaditya , there was arrangement of worship of Shani dev at every Saturday. Now, Vikramaditya & his two queens were live happily.